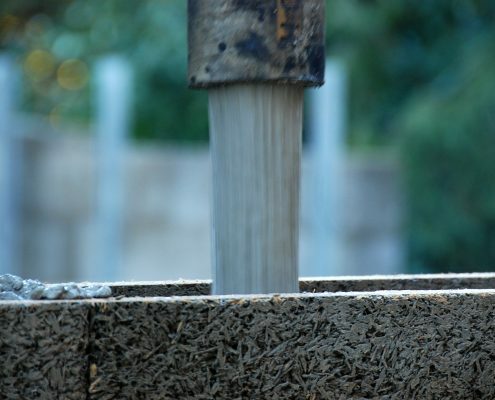 Concrete is the second most used material on the planet after water. Due to its resilient nature, it is often the material of choice for bridges and buildings, roads and sidewalks, ports and dams, offshore production platforms and homes. Dufferin Concrete is proud to offer a large range of products and solutions for projects of all sizes in a variety of sectors. Low Carbon Concrete is an innovative concrete solution used to reduce CO2 emissions by up 50% when compared to conventional concrete manufacturing. Low Carbon Concrete was designed to not only fulfill the strength requirements for applications, but particularly to include the CO2 and EPD (Environment Product Declaration) calculations in concrete optimization. Designing and building sustainable structures that incorporate green materials like lower carbon concrete is becoming increasingly popular. There are various technologies available to decrease concrete CO2 emissions by designing the concrete mixture with low energy cement and a high amount of supplementary cementitious materials, using recycled aggregates and water; and injecting CO2 into concrete during the mixing or curing process. Dufferin Concrete has developed a Lower Carbon Concrete solution that combines state-of-the-art research and expertise along with proven CRH techniques that ensure an optimized use of CRH Slag Cement, Portland Limestone Cement and advanced chemical technologies. 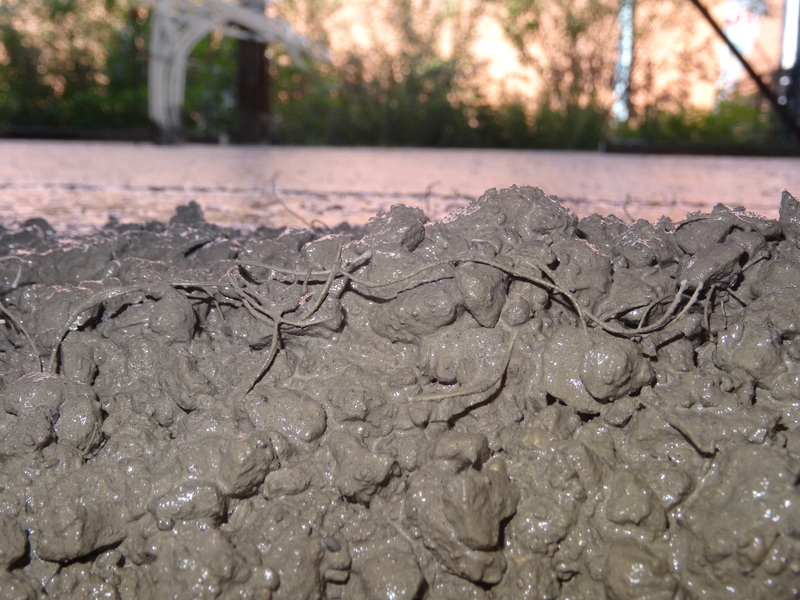 This concrete solution has been successfully used in two residential projects reducing CO2 emissions by up to 50%! We’re proud to offer this solution to make your next project more sustainable. 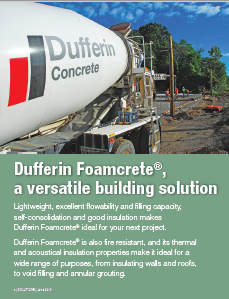 Dufferin Foamcrete®, an innovative concrete solution from Dufferin Concrete, is a versatile building solution that provides many benefits from thermal and acoustical insulation, easy consolidation and light-weight properties. Dufferin Foamcrete® is an ideal filling and grouting material for tunneling and rehabilitation of waste mines and infrastructure. With a reduced density of up to 1/4 of water’s unit weight, it can easily float on water surfaces. Due to excellent flowability and filling capacity, easy consolidation, good insulation, lightweight properties, fire-proofing and sound attenuation, Dufferin Foamcrete® is an effective solution for various applications, especially those with unique and challenging requirements. It allows for density ranging from 300 to 1700 kg/m3 with strength development at 28 days from 0.4 to 25 MPa. 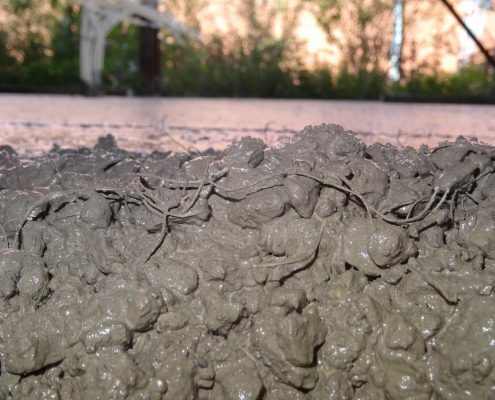 The concrete can be used in the insulation of pipelines, roofs and energy saving structures as well as for soil stabilization of road and building foundations. It can effectively help with dead load reduction of building structures and provide alternative solutions for fireproofing and sound attenuation applications. Dufferin Concrete has developed a specialized procedure to optimize performance and consistency, ensuring quality control along with technical expertise from concrete production to the completion of installation on-site. The solution is excellent for complex project challenges. 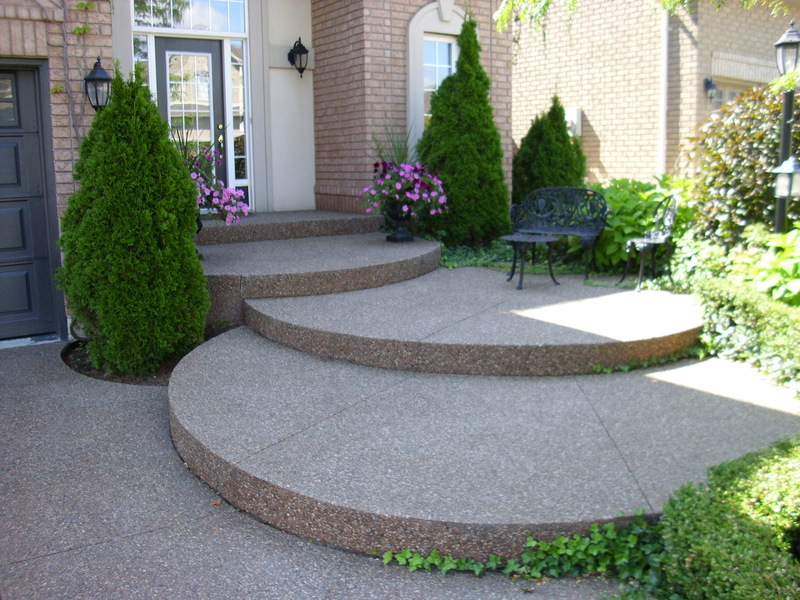 To increase the aesthetic appeal of your project, Dufferin Concrete is pleased to provide colour concrete to give your project a unique look. 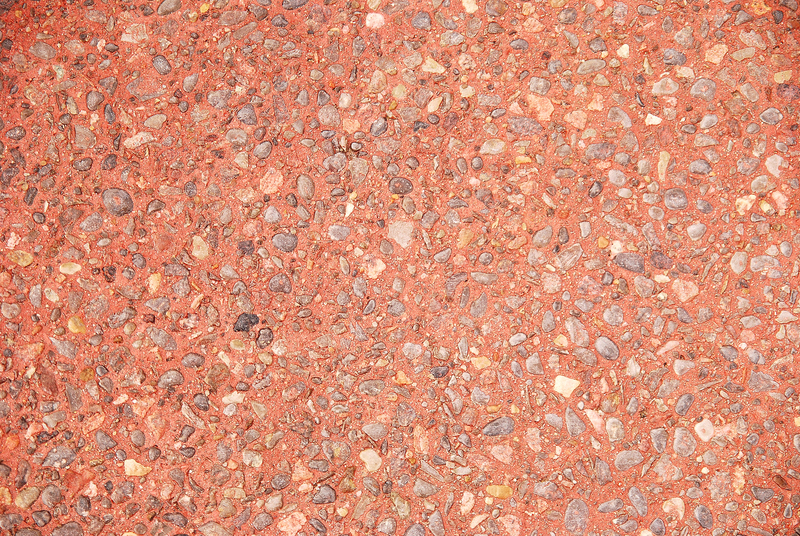 A variety of standard and custom colours are available for integration into your concrete mix. The pure, high strength pigments Dufferin Concrete provides in their colour concrete comes from leading producers in colouring products with the most advanced facilities in North America. Every attempt is made to ensure that the colour you choose matches as closely as possible to the sample, however, due to the varying natural pigmentations in the aggregates we strongly recommend you obtain a pigment palette from our site or your sales representative and conduct a colour test pour prior to the final concrete pour. The colour of cement, aggregates, slump, finishing techniques and curing methods are all critical in achieving a uniform colour. A fully cured concrete test slab with the desired colour at the job site is recommended for customer approval. The coloured concrete should be batched, placed, cured and finished in accordance to the CSA current standards. Allowing concrete to air dry for at least 30 days after curing and before the exposure to cycles of freezing and thawing is very important. Contact your sales representative for more information on colour concrete and the colours we supply. Structural Shotcrete is an efficient method of placing high quality durable concrete in a wide variety of shapes and forms, or when using the standard “Cast-in-place” concrete forming method is a challenge. Shotcrete is a great solution that provides contractors an alternative to formwork, greatly reducing the need for forms. It is ideal for tight or restricted wall access including overhead and underground job sites as well as irregular forms and shapes. Shotcrete can be placed simultaneously with other structures helping projects remain on schedule. It also provides a variety of finishes to meet any architect’s vision. With cast-in-place concrete, the quality of the Shotcrete placement depends on the quality of the materials, proper mixing and transport, substrate/subgrade preparation, placing process, and protection until the specified strength is reached. In order to achieve ideal results, proper equipment and protection is required. 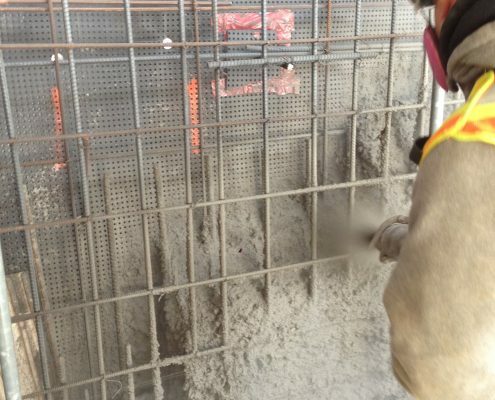 The crew must be prepared to properly finish, protect, and cure freshly placed Shotcrete. It requires constant communication between the ready-mix plant dispatch and contractor to maintain continuous concrete flow on the job and avoid excessive truck idling on site. One of the most critical elements for Shotcrete application is the contractor’s knowledge about the several stages of the application process. Depending on the size and complexity of the project, several properly trained and qualified Shotcrete crew members are required to successfully complete the application. With proper application, Shotcrete provides an innovative solution to otherwise challenging applications. Fast track concrete uses advanced chemical technology for optimizing the aggregate blend to achieve up to 30% less shrinkage, greatly reduced cracking and more consistency on attaining the required strength. Dufferin Concrete launched the first Fast Track concrete product on the market nearly 20 years ago for the Ministry of Transportation (MTO). 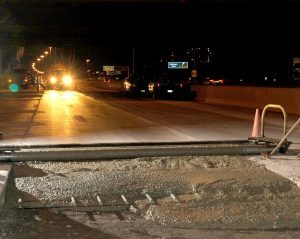 Since then, we have continuously improved upon this innovative product, and have developed a strong reputation with the MTO for completing concrete work on projects with overnight closures. These overnight closures require the concrete to set and gain strength extremely quick (currently 20 MPa in 5 hours) in order for the highway to re-open for the morning commute. 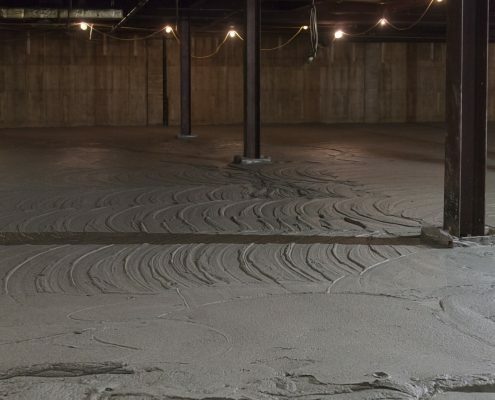 Fast Track concrete has greatly increased slump tolerance and extended slump life, which widens the construction window, and allows the concrete to be easily installed with numerous finishing methods (roller screed, float, etc.). The mix is also less sensitive to ambient temperatures. Advanced chemical technologies enable the addition of most admixtures at the concrete plant, which reduce the need for mix readjustment on site, and effectively accelerate construction efficiency. 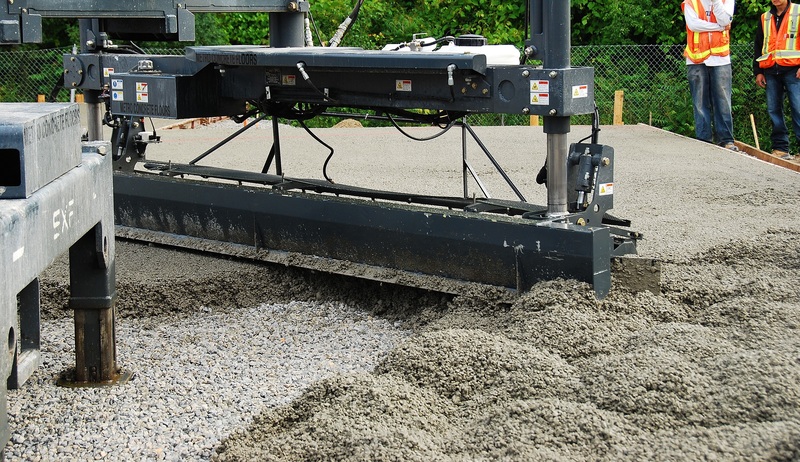 Furthermore, drivers use Dufferin Concrete’s unique Envirogaurd system to complete the final closing of liquid additives, which further increases safety measures on the job site. Fast Track concrete is another example of our ability to deliver innovative, market-leading solutions to successfully meet complex customer needs. Fibres: Fibres are small reinforcing materials that provide added structural integrity and durability to concrete applications to aid against plastic shrinkage cracking (hairline surface cracks due to water evaporation during set). Many concrete customers currently use Welded Wire Mesh (WWM) in their concrete applications to hold concrete together after cracking has occurred. Not only is this system frequently installed incorrectly, but it is reactive, to fix the problem instead of prevent the problem. This traditional system is outdated and can be avoided by adding steel or micro-synthetic fibres to concrete, a process Dufferin Concrete has been using for over 20 years. Fibres are small reinforcing materials that provide added structural integrity and durability to concrete applications, aiding against plastic shrinkage cracking (hairline surface cracks due to water evaporation during setting). 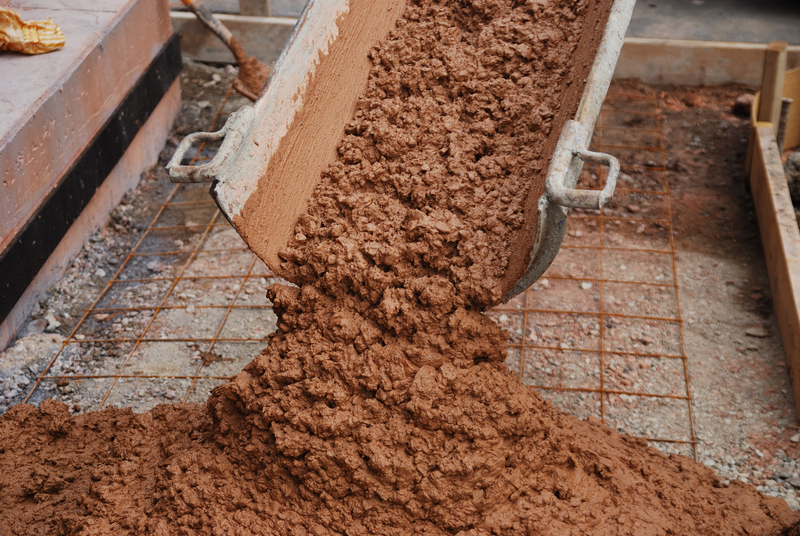 Unlike conventional reinforcement, fibres are distributed evenly throughout the concrete application. Fibres can reduce plastic shrinkage cracking by up to 90% by providing concrete with early tensile strength and intercepting and arresting micro cracks as they travel through the concrete. This application can be used in industrial floors, residential applications, composite steel decks, and agricultural applications, as well as roads, parking lots and slabs. With the proper dosage, fibres are engineered to replace conventional steel reinforcing such as WWM and smaller diameter rebar. Dufferin Concrete provides fibres readily mixed into the concrete, delivered at the job site ready to pour eliminating the need to store or manage reinforcing materials. 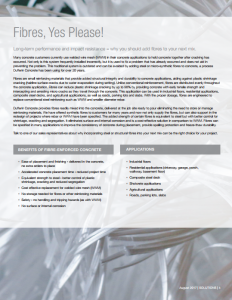 We have offered synthetic fibres to customers for many years and now not only supply the fibres, but can also support in the redesign of projects where rebar or WWM have been specified. The added strength of certain fibres is equivalent to steel but with better control for shrinkage, cracking and segregation. It eliminates surface and internal corrosion and is a cost-effective solution in comparison to WWM. Fibres can be specified in many applications to improve the consistency of concrete during placement, provide spalling protection and freeze-thaw durability. Talk to one of our sales reps about why incorporating steel or structural fibres into your next mix can be the right choice for your project. Our current price lists are made available as a reference to our customers.